A cursory glance at the Department for Transport’s official bus statistics published last month suggests that bus mileage across Britain remained fairly steady last year – but the figures merit closer scrutiny. While overall bus mileage in 2014/15 was only a moderate 0.6 per cent lower than the previous year, a significant increase within London masked a more severe reduction across the rest of the UK. This was largely due to a decline in the most socially necessary bus services, with a 10 per cent drop in local authority supported services outside London, according to the annual report. Supported bus services enable some of the most vulnerable people in communities to get around, ensuring passengers can access healthcare appointments or can visit friends and relatives, or get to school or education. A decline in funding in recent years has meant that local authorities up and down the country have been forced to make painful cuts to these socially unnecessary bus services, which has a knock-on effect on local economies, our society and the environment. 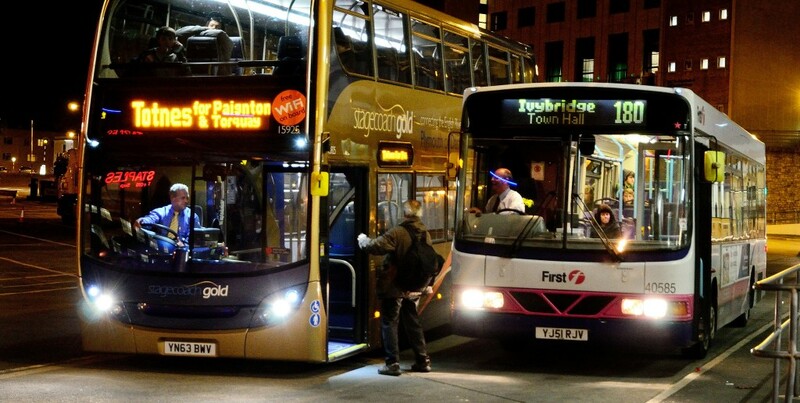 Buses provide vital access to employment and essential services. 77% of job seekers have no regular access to a car, van or motorbike and rely on buses to access job opportunities and employment. This rises to 87% of unemployed 16-24 year olds. The statistics show that supported bus services have declined by 5% in the past five years, from 22 per cent to 17 per cent. According to research by Campaign for Better Transport, this translates to nearly 500 bus services being cut, altered or withdrawn over the past year, or over 2,000 routes since 2010. Campaign for Better Transport estimates that the overall cut in support for buses in 2014/15 was £9 million. Rural areas were the worst hit, seeing average budget reductions of 19 per cent in 2014/15. Seven local authorities now don’t spend anything on supported bus services. With one third of all public transport journeys made by bus it is vital that these services are preserved, but it is clear that bus operators can only go so far in plugging the gaps left by cuts. It is essential that Government funding for supported services continues, and that more investment is made in local bus infrastructure, to ensure the worrying reduction in these essential services does not continue for another year.